In an interview The Investigators with Diana Swain, Channel 4 journalist explains the undercover operation into Cambridge Analytica's operations. The firm has been accused of improperly using information from more than 50 million Facebook accounts. It denies wrongdoing. 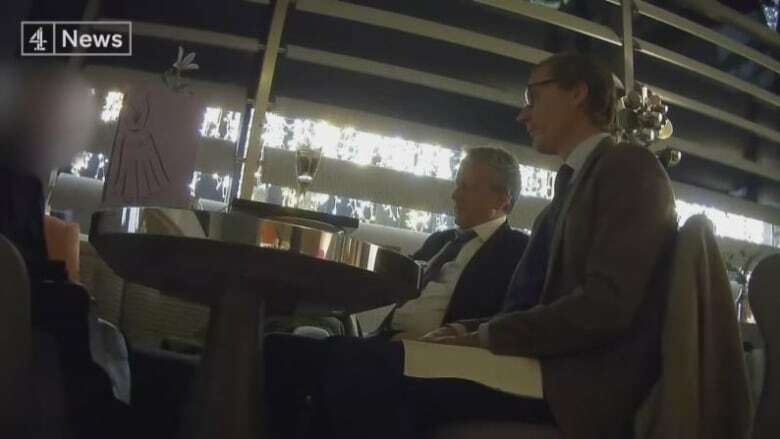 A screen grab of the hidden camera footage of Cambridge Analytica's Alexander Nix and Mark Turnbull as they discuss their firm's services while meeting with an undercover journalist posing as a Sri Lankan businessman. That dirty tricks exist in the world of high-stakes politics will come as a surprise to few. Nonetheless, leaders of the global firm Cambridge Analytica captured headlines around the world this week as they breezily discussed the strategies for deception and manipulation of foreign elections on hidden cameras. Cambridge Analytica has been accused of improperly using information from more than 50 million Facebook accounts. The London-based company denies wrongdoing. Cambridge Analytica is best known for its work with Donald Trump's presidential election campaign in 2016. CEO Alexander Nix, unaware he was being recorded, claimed he'd met Trump "many times" in a bombshell undercover investigation broadcast Tuesday on Britain's Channel 4 news. A colleague also suggested they created damaging memes targeting Hillary Clinton during the election. Nix was suspended the day after the story aired. The investigation revealed that over the course of four meetings, the journalists used hidden cameras and microphones to record Nix and the company's managing director Mark Turnbull, as they discussed ways to secretly influence Sri Lanka's upcoming national election — something they claim they'd already done in Kenya in 2017. The man posing as a Sri Lankan businessman interested in their services was in fact an undercover journalist testing what Channel 4 already believed were the data research company's dubious methods. "We knew quite a lot about Cambridge Analytica and how they operated," says Andy Davies, one of the journalists involved in the investigation. Watch the full interview with Andy Davies on The Investigators, Saturday at 9:30 p.m. ET and Sunday at 5:30 p.m. ET on CBC News Network. Yet, Davies admits he's still surprised at what Nix disclosed in the meetings — such as suggesting ways to bribe political opponents and post the proof on social media, or entrapping those opponents in sexual scandals by sending young women unannounced to their homes. 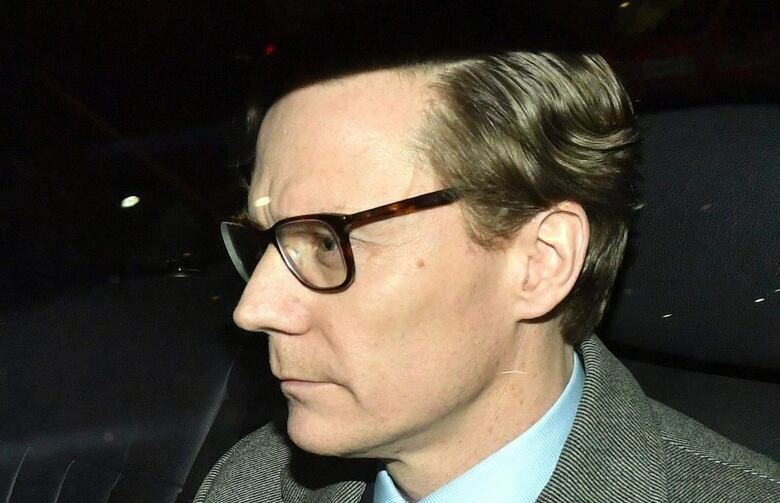 "So all of these were major disclosures at the time and would prove hugely ultimately damaging for Alexander Nix," Davies told The Investigators with Diana Swain for this week's edition. Davies says the journalists kept up the undercover ruse through four meetings and multiple email exchanges over the course of several months. Each and every time, they worried about being found out, he said. "This was dealing with a company that was at the cutting edge of data analysis," Davies said. "I mean, this is a company which is very powerful and would have the ability to do due diligence. "So it really was a concern that they might at some stage start questioning what was going on here." According to Davies, it was only after the journalists revealed what they had captured on tape and asked the company for a formal response that Cambridge Analytica claimed it had suspected something the whole time and had simply been "trying to tease out the true intentions of this potential client." But Davies says that doesn't square with the emails the company continued to send to try to win the man's business — right up until the conversations were exposed. Whether the claims of having already had a hand in dirty tricks in elections were bravado or true is still "difficult to establish," Davies said. He pointed to another investigative report this week published in London's the Times newspaper alleging the tactics Nix described were in fact used by Cambridge Analytica's parent company in 2010 to discredit a political opponent in St. Kitts and Nevis. "It was uncharacteristically similar to the scenario that Alexander Nix was describing to us," he said. "If that's found to be true — that there is a link there — then it does undermine the strand of thought that might say that this was pure bravado." 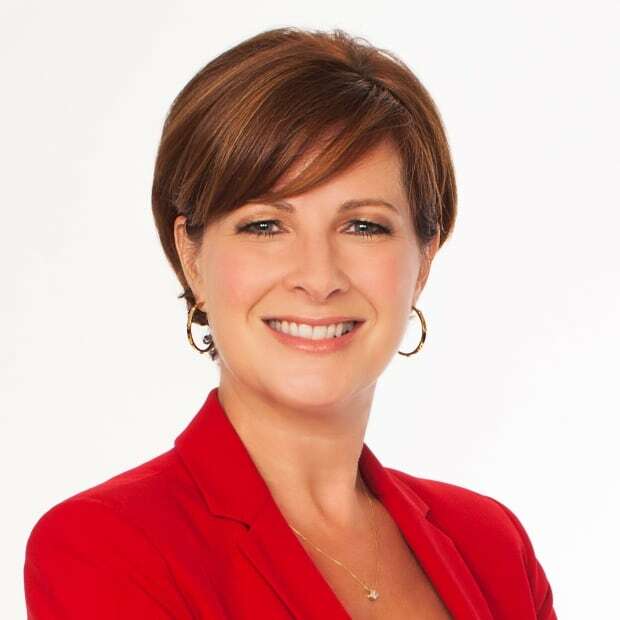 Also this week on The Investigators with Diana Swain: CBC Calgary reporter Reid Southwick talks about his investigation of drug sales on the dark web and the ethical questions it raised. And, the editor of Aktuality.sk explains why the murder of a Slovak investigative reporter has led to the Prime Minister's resignation.